Squeezing in the last few comfy sweater moments before the summer heat creeps in. Oh I love this cute polka-dotted skirt!! You look lovely. Nice look. Love the colors. LOve the color of this look! Love your sweater! The colors are perfect for summer! Beautiful nautical look on you. Love the way you styled your look today. This is cute! 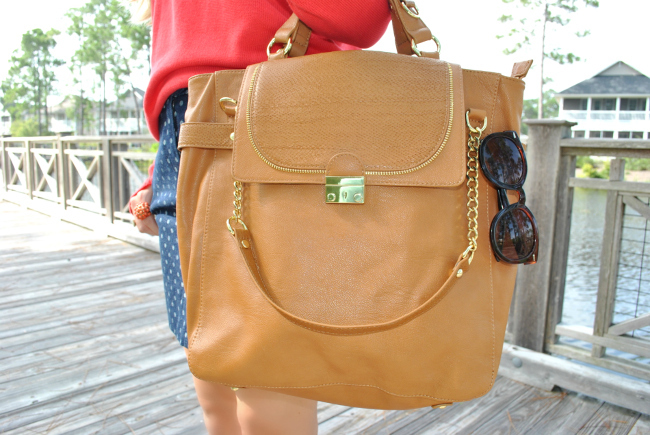 I am in love with that bag! Wish I could pack away my sweaters, but Mother Nature won't give up! Love this look, loving the cozy sweater even more since we heading into winter here. Very cute. It's definitely cozy sweater weather here!!!!!! Such a cute bag!!! Where is it from? I love it! Where is that sweater from? The dropped shoulder and weave is perfect! This bright sweater looks cute with your polka dot skirt. This is such a great look for a brunch date with friends! Love your polka dots and your wedges are uber feminine and chic! Lovely styling - you nailed it! I love this outfit! nice combination! I know what you mean Anna, I love warm weather but sweaters are just so cozy! 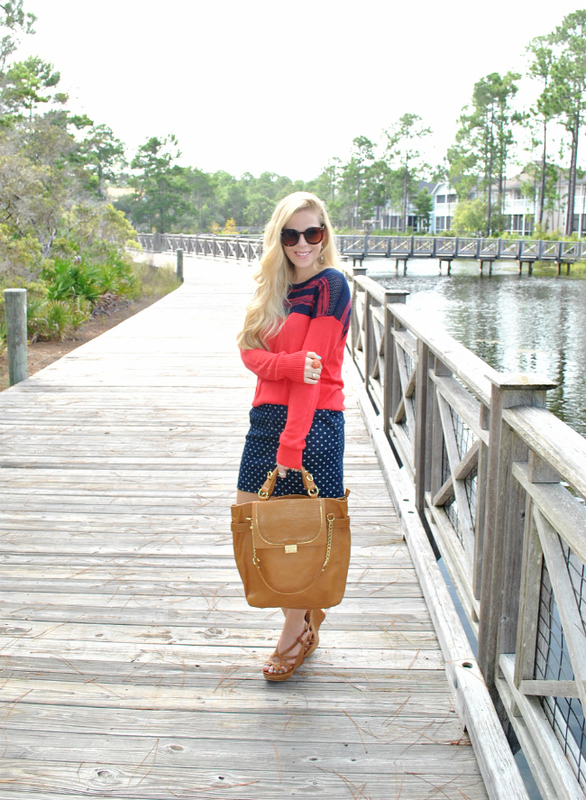 Love how you paired your sweater with such a cute polka dot skirt!! I long for the return of the warm spring days we had a couple of weeks ago. Very chic outfit. And just when I thought I wouldn't wear a jean skirt again, I see this one and I want it! !